$0.50-FREE Scentiva Clorox Wipes At Price Chopper! 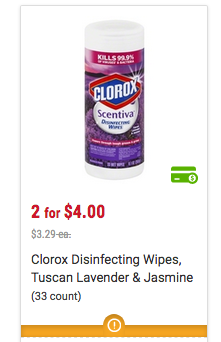 There is a $0.50/1 Clorox Wipes HERE if you can't print 4 $0.75/1. Check out all the deals at Price Chopper this week HERE!